A1056-A1056K is most usable kind of vacuum cleaner. Thanks to the metal construction, these three appearance industrial vacuum cleaners can be used in critical industrial environments, area it is all-important a able and efficient machine. 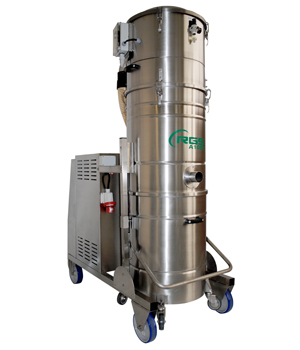 Equipped with 7.5, 9, 11 and 13 kw suction unit, star filter Ø 560 with big filtering surface (3.4 m²) and waste container Ø 560 mm with 175 lit of capacity, collection tank can be remove easily with quick release system.